A biography of Hitler's Minister of Propaganda, now in paperback. 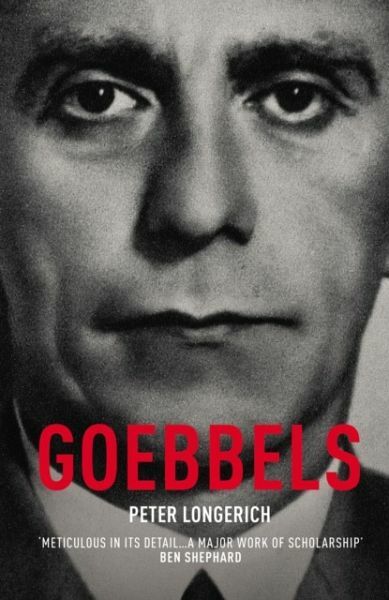 Renowned German Holocaust historian Longerich sifts through the historical record, including Goebbels's own diaries, to paint a chilling portrait of a man driven by narcissistic desire for recognition. '...a major work of scholarship' Ben Shephard, "Observer"
Peter Longerich is Professor of Modern German History at Royal Holloway University of London, and founder of Royal Holloway's Holocaust Research Centre. He has published extensively on Nazi Germany, including the acclaimed biography Heinrich Himmler, Holocaust: The Nazi Murder and the Persecution of the Jews and The Unwritten Order: Hitler's Role in the Final Solution. "Meticulous in its detail… a major work of scholarship"